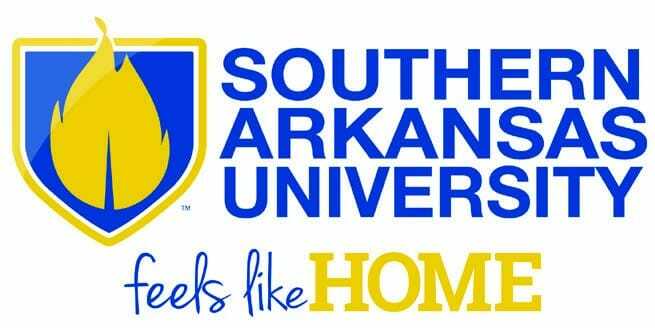 Southern Arkansas University welcomes everyone “Home for the Holidays” for the annual Celebration of Lights on November 29, 2018. The event kicks off with the family Christmas movie, “Home Alone,” at 3 p.m. in Foundation Hall. Showings are also scheduled for 5 p.m. and 7 p.m. Personalized holiday bears will be available at no charge while supplies last in the Reynolds Center from 4-8 p.m. Train rides will be available in the campus mall area from 4-8 p.m. There will be three story time sessions with Mrs. Claus in Magale Library at 5 p.m., 6 p.m. and 7 p.m. Children will receive a free copy of “Frosty the Snowman” while supplies last. Family Christmas Movie: “Home Alone”…………………. 3, 5, and 7 p.m.
Personalized Holiday Bears ……………………………………….. 4-8 p.m.
Magnolia Christmas Parade……………………………… 5-6 p.m.
Story Time with Mrs. Claus……………………… 5, 6, and 7 p.m.
RHA Overstreet Lighting ……………………………………. 6-6:20 p.m. 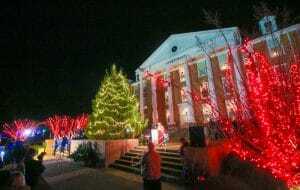 Lighting of the Bell Tower…………………………………………..6:25 p.m. 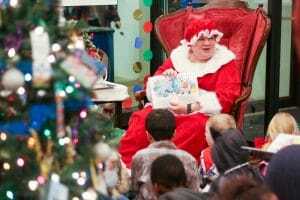 Photos with Santa and Angel Tree Adoptions …………………………6-8 p.m.
For more information, call (870) 235-4028.